Let me begin by saying that I already love Ozeri. 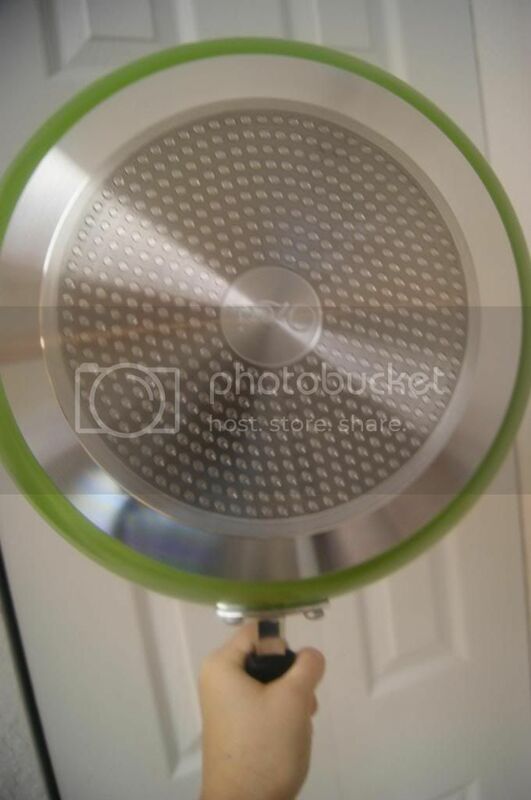 I have tried(and reviewed) a Digital Kitchen Scale and a Green Earth Wok, and both products were excellent. That is why I am so excited to be able to share yet another Ozeri review with all of you. It brings me great joy to share products they really do what they are supposed to and make life easier and better. It is even better when such products are also affordable. 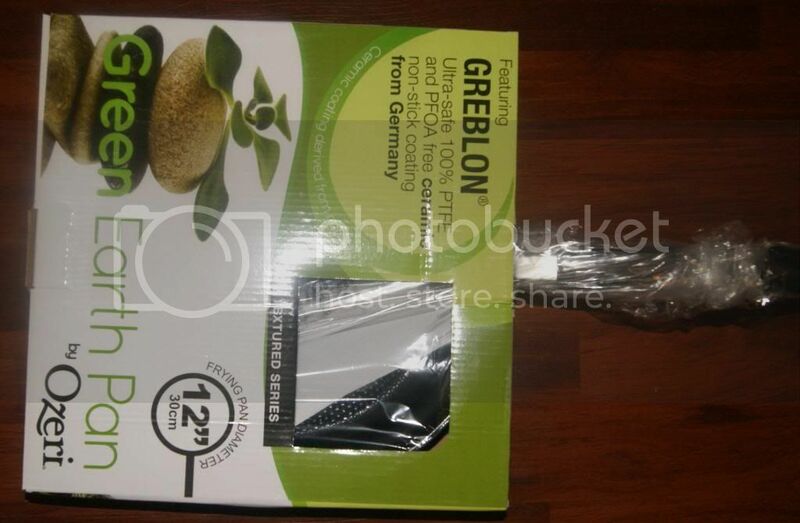 Green Earth(Ozeri) products are always superior quality and a fabulous price. They really take cooking to the next level and not only help the experience "chef", but also really make things much easier for those not so skilled cooks. With the Ozeri 12" Green Earth Frying pan with Textured(Greblon) ceramic Non-Stick Coating, you can cook anything and never have to worry about sticking, burning or uneven heating. I have had so many pans(even expensive ones) claim to heat evenly, only to end up having to rotate the food or have half be raw. It is so frustrating. 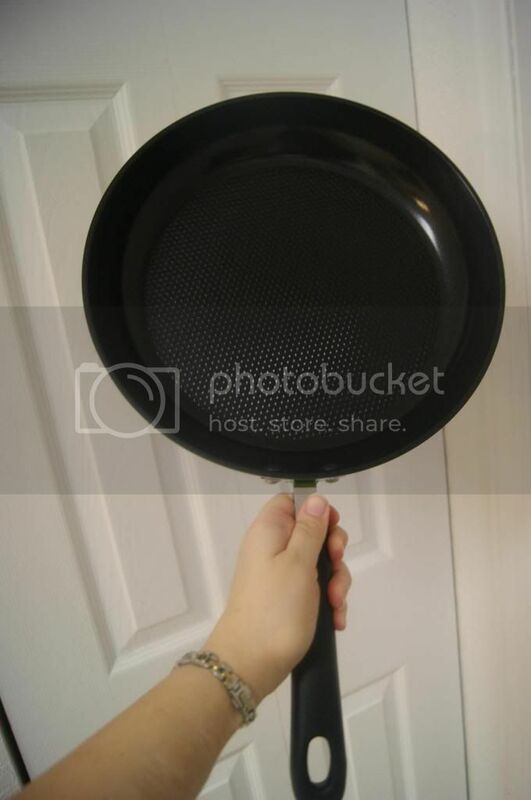 This pan is amazing though. It features a textured cooking surface, which elevates the food and helps create air pockets to allow the heat to be distributed evenly. I have only had one other textured pan, but everything stuck to it and made it basically worthless. The wonderful Greblon Ceramic coating on this pan is incredible. Nothing sticks and it is even scratch resistant. The pan is nice and deep so you can actually make stir fry or one pan meals but not so deep and to be like a pot. I adore that bright green color. It is just so unique and fun. It looks really nice, and it stays looking nice unlike the outside of most of my cookware. The base is incredible, probably another reason the food cooks so evenly. Since it is heavy-gauge pure aluminum, it heats up quickly and evenly. I love the way it is textured as well to heat perfectly. The Aluminum contains no heavy metals or harmful chemicals and the Ceramic(Greblon) coating is an ultra-safe ceramic coating from Germany which is completely free of PTFE, PFOA, lead, cadmium and other harmful materials. I love that this pan is not only functional, it is ultra safe, and extra durable.Everyone wants the best for their family, and this really is in every aspect. Of course, it all means nothing it when you actually cook it does not perform, but this does more than I ever imagined. I made steak for my husband, and it worked SO beautifully. As you can see, I filled the pan very well. 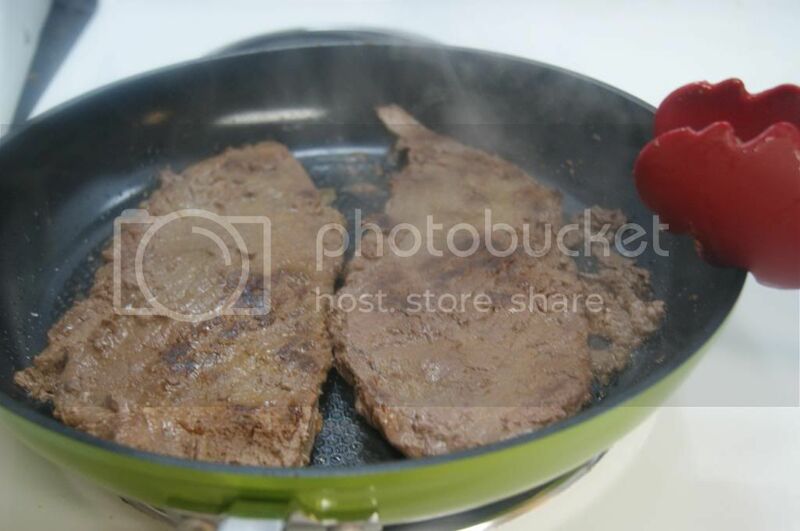 With my normal pan, the far side of each steak would be raw unless I rotated them. This actually cooked the sides the same as the center without rotating. I was blown away. No other pan I have used has EVER done that. All I had t do was flip the steaks over(once). See how perfectly the cooked? And I actually wanted them more brown, but like an idiot, I added butter and the pan is so non stick that I didn't need to and it kind of prevented browning. I know better for next time though. The steak still came out incredible though. My husband loved it(and I wanted some so much, but since I am dieting didn't have any). He even said he could tell a difference, which is amazing because he never says that. Even if I use different seasonings, he's like, "Yeah it's good. Tastes the same as always". LOL. Men never notice anything and yet even he noticed this one change. I am completely in love with this pan. And since it cooks without needing oil and butter, I make myself healthy foods without having to make them unhealthy by cooking them in fats. I never use cooking sprays since they can leave residue, and now I don't have to use anything. I am so thrilled with this pan. I plan to use it for everything. If you have never tried Green Pan, than I strongly encourage you to do so. I bet it will be the best pan you have ever used. 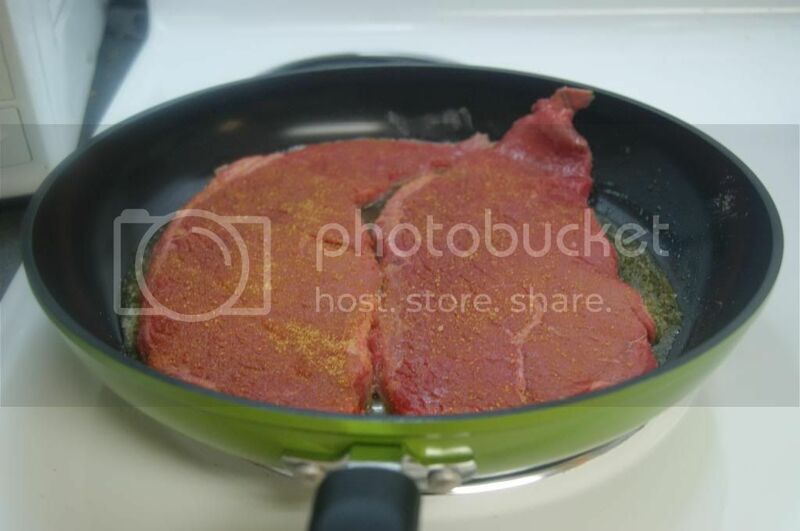 I own this pan too and it REALLY holds up well over time and lots of use! Great review!! I read your article. 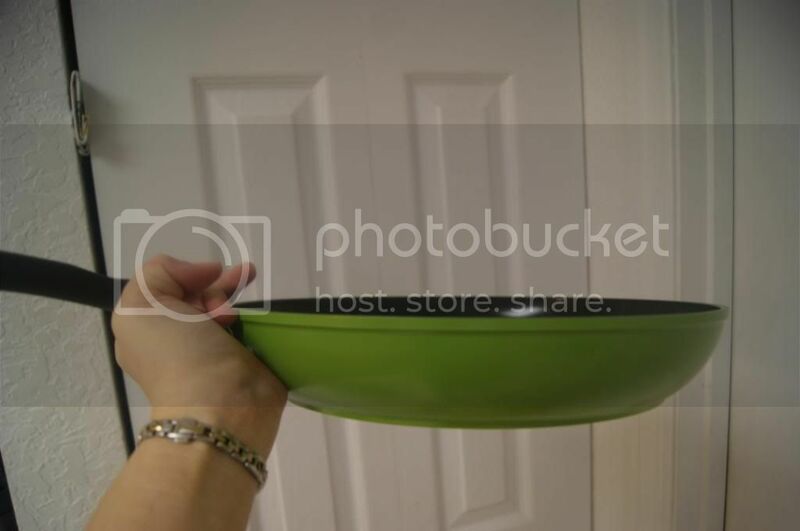 Green Earth pan that's good about you. Thank you to share with everyone. "Don't waste your money on these pans. they work for a few weeks, but after that you'll be using more and more oil to keep food from sticking. Eventually even the oil won't help. One of the worst kitchen utensils I ever bought. " if you READ the instructions, they tell you NOT to use oils or nonstick sprays.